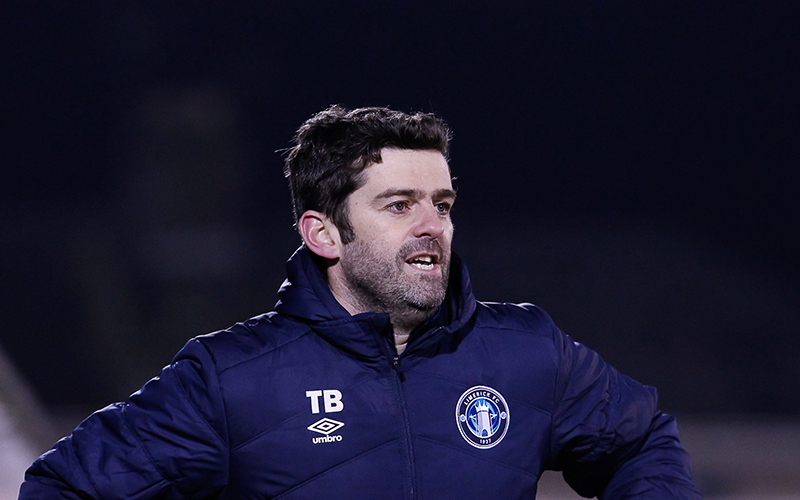 Tommy Barrett wants Limerick to land a knockout blow on double favourites Dundalk and has asked people to give his team the support they “deserve” as he says the Shannonsiders have “punched above our weight all year”. Barrett, who was forced to trim his squad after budget cuts in the summer, was “proud” of the performance his young players put in against the now champions-elect Dundalk at home last week where it took a brilliant 81st-minute strike from Michael Duffy to get them over the line. Limerick were excellent on the night as they kept defensively solid while threatening on the counter through their pacey attacking trio of Connor Ellis, Will Fitzgerald and Karl O’Sullivan, and had chances of their own to claim all three points. 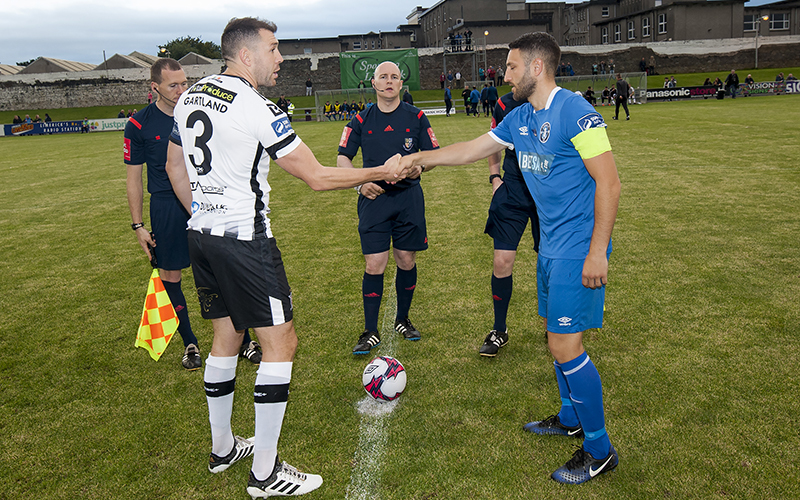 Now, the sides meet again – this time in the Irish Daily Mail FAI Cup quarter-finals at the Markets Field on Friday night (7.45pm) – as the Blues look to make it to the last four of the competition for the second-year running. And Barrett, who has overseen positive results against three of the top four in the league this season – only failing to do so against Dundalk, wants more backing for his players. “We would appreciate any support that we can get. I think this team deserves support. I feel that we are punching above our weight all year. People have to realise that and recognise that – these lads are giving 100 percent every time they play,” Barrett told LimerickFC.ie. “It’s not for the want of effort. Sometimes, a bit of quality is catching us, sometimes it’s a bit of naivety and a bit of lack of experience. But they will keep working – that’s for sure. “We take a lot of encouragement from last week’s game. But Dundalk will come here this week with a different game-plan – they can freshen things up a lot more than us. We were disappointed with the result but, at the same time, I was proud of our display over the 90 minutes. It was a good performance. The goal that we conceded was a bit scrappy from our point of view, although it was a good finish from Michael Duffy. But, overall, we played very well. “I know Dundalk had most of the possession which you would expect, but considering the team that we had out and had to put together, it was a really impressive performance from all the lads and I was very proud of the performance. Captains Brian Gartland (Dundalk FC) and Shane Duggan (Limerick FC) shake hands before kick-off. Photo thanks to Joe Buckley. Limerick are without a win against Dundalk since September 2013 when a Rory Gaffney first-half double gave them a 2-1 victory at Oriel Park. The previous month came the clubs’ most recent FAI Cup meeting when Dundalk won 5-3 at home. Limerick last knocked Dundalk out of the FAI Cup in 1980 and, coincidentally, it was also when the teams met twice in a week. On 9 March 1980, Tony Morris’ 81st-minute goal (the same minute as Michael Duffy’s winner last week) was enough to claim a 1-0 win at Oriel Park as Limerick eliminated the holders. A week later in the league, on 16 March, Dundalk recorded a 1-0 home win thanks to Brian Duff’s 53rd-minute goal, although Limerick went on to claim the title the following month. This is Limerick’s first FAI Cup quarter-final at the Markets Field since 1984 when they lost 1-0 to Shamrock Rovers after a late Terry Eviston goal. The club’s last home last-eight tie was in 1994 when Monaghan visited Rathbane, which Limerick won 2-1 before going on to lose the semi-final away to eventual winners Sligo Rovers. 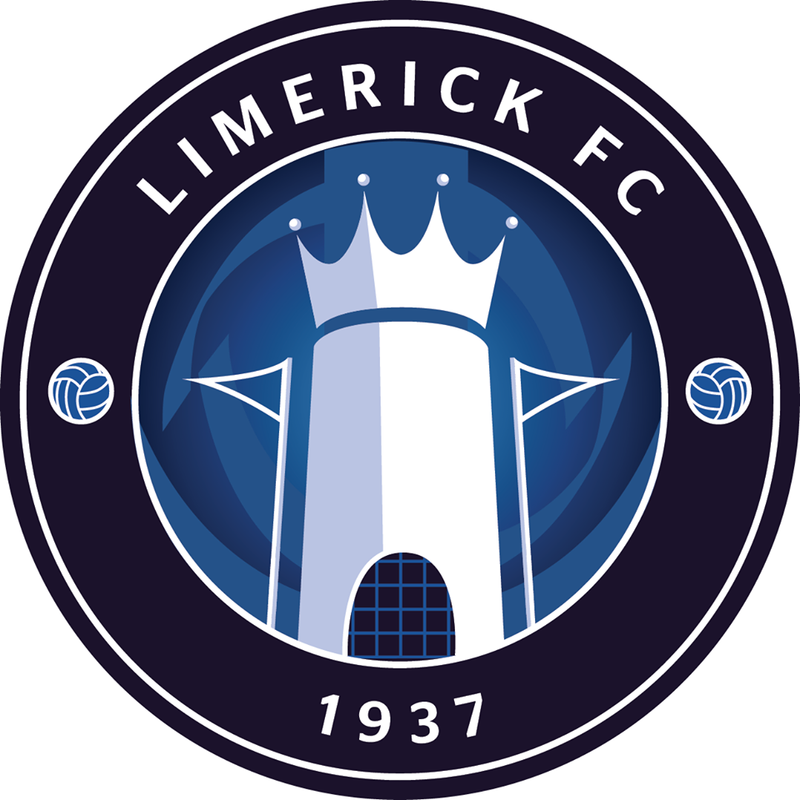 Limerick have won all three of their FAI Cup home ties since returning to the Markets Field in 2015 (Bluebell United 5-2 – 2016, Finn Harps 1-0 – 2017, Cabinteely 2-1 – 2018). Team News: Tommy Barrett has confirmed that Eoin Wearen will miss a number of more weeks for Limerick with a knee injury sustained in the recent FAI Cup win over Cabinteely. Defensively, Kilian Cantwell (groin) and Shaun Kelly (foot) are again doubts for the visit of Dundalk, but Billy Dennehy should return after a chest infection saw him only fit enough to take his place on the bench last week. Officials: Referee for the game is Derek Tomney, his assistants are Mark Gavin and Darragh Keegan, with the fourth official Anthony Buttimer. If a replay is required it will take place at Oriel Park on Tuesday night. 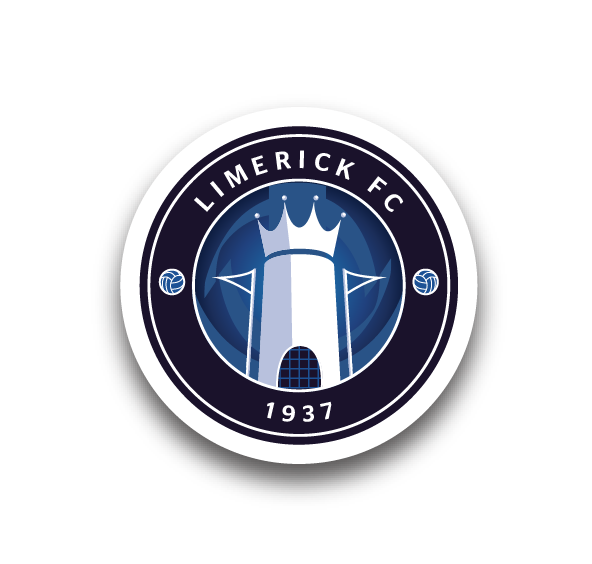 Limerick FC through our online facility offer the cheapest tickets available in the SSE Airtricity League. Friday’s Irish Daily Mail FAI Cup quarter-final tie takes on Category B pricing and both Limerick and Dundalk supporters can avail of the best value by purchasing their tickets online before midnight Thursday, from which time Matchday prices will come into effect. Great-value Family Packages are ONLY available online and will remain so until 6.30pm on Friday.